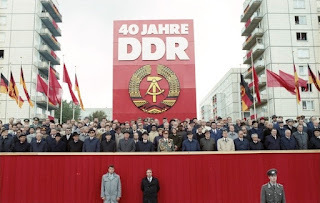 Celebrated from 1950 to 1989 on the anniversary of the founding of the Deutsches Demokratische Republik on this day in 1949 from the Zone of Soviet Occupation, five months after the Bundesrepublik Deutschland (West Germany) constituted itself by the adoption of its codex of Basic Laws (Grundgesetz) on 23 May, der Tag der Republik was initially observed with military parades and the issuing of honours to individuals who had made significant achievements in the arts and sciences in the last year. In the 1970s, the holiday was cast more in the light of a people’s celebration without the pomp of a demonstration of force but also invited protests and dissent. 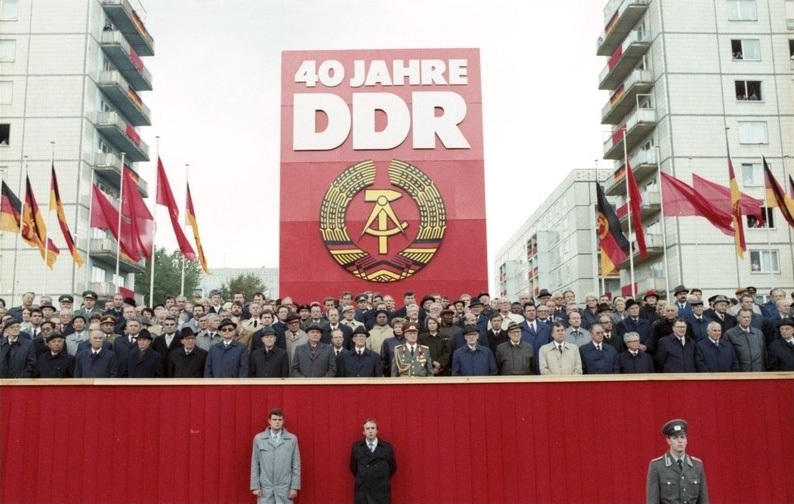 Presided over by Soviet Premier Mikhail Gorbachev, he warned the government that dangers awaited those unwilling to reform and adapt to emerging realities while authorities were dispatched to arrest and detain arbitrarily over a thousand individuals on suspicion of subversion. This mass arrest prompted the calls for an official inquiry that began its investigations on 3 November, with the Berlin Wall coming down six days later. Der Tag der Deutschen Einheit is not observed on that day in November for reasons previously covered but was also championed at one point to always fall—for economic reasons—on the first Sunday in October instead of a fixed day. This was ultimately rejected because, like today this year, the celebration of German unity would sometimes take place on the birthday of East Germany.